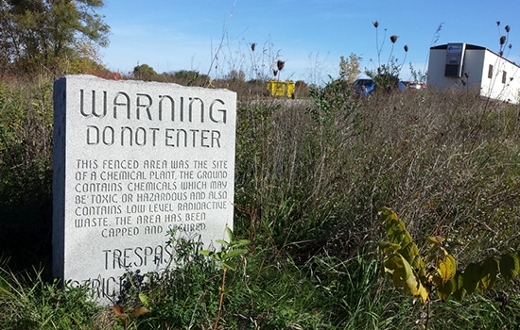 A granite marker was placed in front of the St. Louis chemical plant that accidentally shipped flame-retardant chemicals to livestock farms throughout Michigan. Michele Marcus, a Rollins environmental epidemiologist, has been studying the effects of PBB contamination for the past 15 years. She knows that today, more than 40 years after the accident, some 80% to 85% of Michiganders still have elevated levels of PBB in their blood. Marcus’ most recent study looks at how this exposure has affected the children and grandchildren of people who ate contaminated food. Marcus found that women who were exposed to PBB were more likely to give birth to infants who scored low on Apgar tests—the first test of a newborn’s health. Mothers who had been exposed before their own puberty were even more likely to have low-scoring babies. 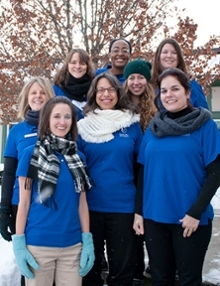 Michele Marcus, center, with members of the Rollins PBB research team. "We know from animal studies that some of these hormone disrupting chemicals can affect up to four and five generations down the line," says Marcus. "But it’s one thing to be a scientist and study these statistics. It’s quite another to have a mother approach you and tell you her daughter entered puberty at age five."